Prime Minister Scott Morrison has agreed to appear on The Project after cancelling an appearance earlier this week. Morrison had objected to details reported in his editorial which aired last Friday. Waleed Aly has also visited New Zealand to speak with PM Jacinda Ardern, due to screen on Monday. 6:30pm tonight on 10 (commercial free from 6.30pm until 7.00pm). Noticed 7 and ABC ran decent chunks of the interview last night. 9? don’t know. Just as I expected, ScoMo spent the whole interview blowing his own trumpet and avoided answering certain questions. He is a spin master amongst other things. Yes it amounted to “i have muslims friends”……. and let me just follow up by blowing my own trumpet…… did i mention i have muslim friends!!! Thanks for the heads up David, I often don’t switch over to The Project until around 6.45. I hope they can bury the hatchet and have a meaningful discussion. I’m not expecting ScoMo to make any admissions on those 2010 allegations though. As Wales has all his editorials, questions researched and written for him I assume it will more like a Jon Faine interview than a Neil.Mitchell one..Oh it must be election time if the PM has changed his mind re coming onto The Project,his advisers must have seen the negative effect his stance had cost him in voter support. I get the feeling you won’t believe any answer the PM gives. Good so it won’t clash with the start of the footy. Usually they leave things people are anticipating to the back half of the program. Interesting they have gone 6:30-7 the lower rating portion of the show… hoping the audience stick around. 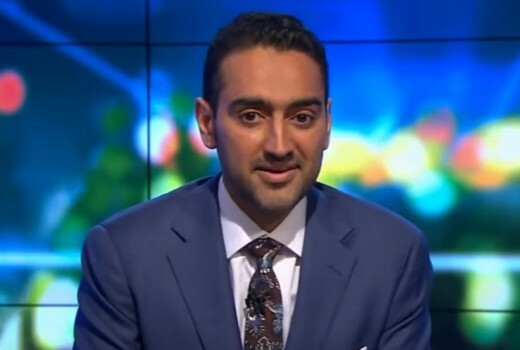 The problem with the Project is that is trying to package Waleed Aly, Carrie Bickmore and Lisa Wilkinson as real journalists when they would be better off hosting a show like ACA or Today. This is gonna be good! Waleed won’t go easy on him. Hope he actually answers the question and doesn’t give the usual spin, but of course he will.